You can now search OLDIES.com directly from your modern browser. Shopping just got a bit easier. 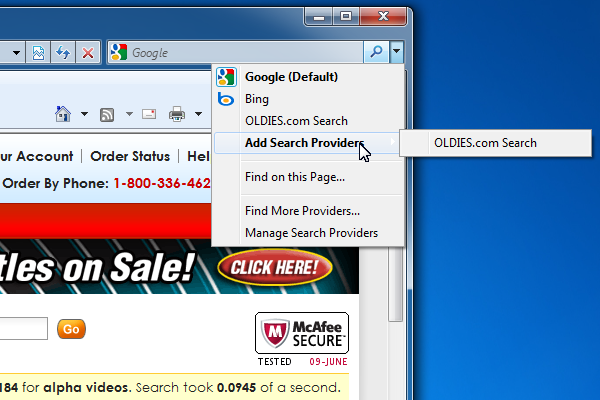 Click the image below to see a short video clip showing how to add OLDIES.com search to Internet Explorer. 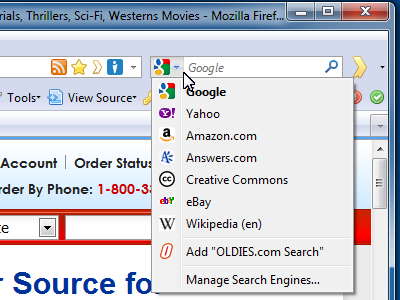 Click the image below to see a short video clip showing how to add OLDIES.com search to Mozilla Firefox.